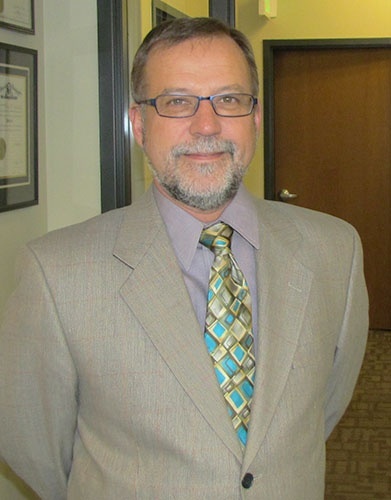 SPOKANE, Wash. - July 31, 2018 - PRLog -- Let us introduce Dr. Borys E. Markewych from our Spokane office! Dr. Markewych joins us as an AtlasFAI Affiliated Office. He was born in Chicago, Illinois and received a BS in Biology at Loyola University. Dr. Markewych went on to study podiatric medicine at the Dr. Scholl College of Podiatric Medicine. He has been the President and Director of South Hill Ambulatory Surgical Center since 1993. Dr. Markewych enjoys skiing, rafting, boating, biking and hiking. He has built a practice around the philosophy that an accurate diagnosis is necessary to identify the root cause of the problem so it can be effectively resolved. His goal is to make sure your foot and ankle issues are addressed so you are able to go back to the activities you enjoy doing. Dr. Markewych offers laser treatments for fungal toenails and also performs the HyProCure® procedure. He offers treatments for bunions, diabetic foot care, sports injuries, hammertoes, heel pain, neuropathy and more. Dr. Markewych provides podiatric care for all ages and offers a full array of podiatric services to help you maintain healthy feet. We're honored to have him as part of the AtlasFAI Family!